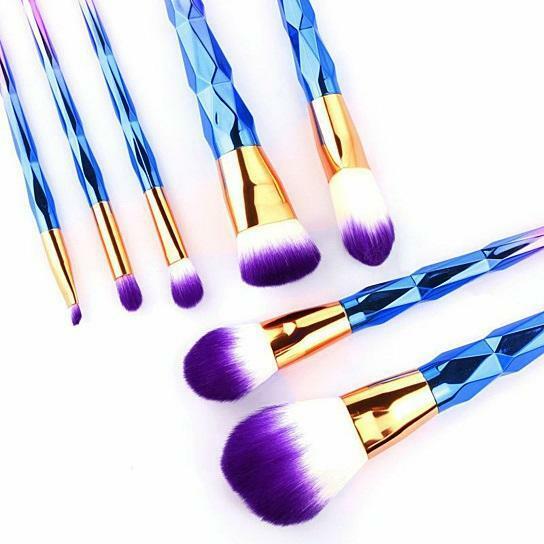 Just the matter of spotting these and you will fall in love with them... We mean to say these exotic looking makeup brushes! 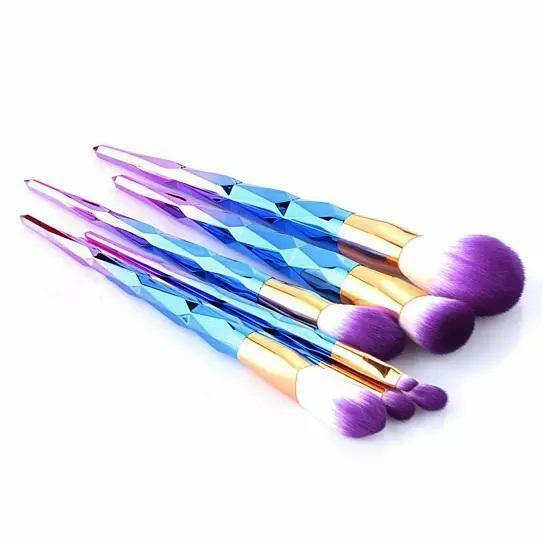 Aptly named due to their long colorful handles with the Diamond pattern that looks like the Unicorn horn spiraling down from the silky Purple brush hair applicators, they are truly one of its rare kind... 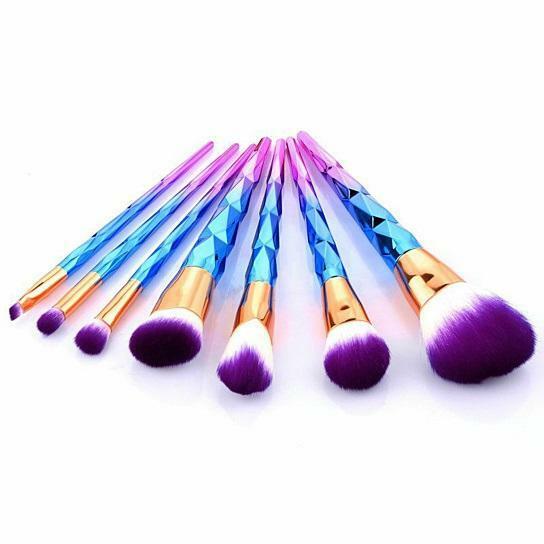 Perfect for your vanity, these unique brushes give you awesome results every time you apply foundation and contour your face...The shiny and soft brushes are so much fun to apply and blend the makeup with, you will look forward to getting ready for your evening out! Catch your Unicorn today...! DETAILS: They are made of high-grade Synthetic Nylon material. 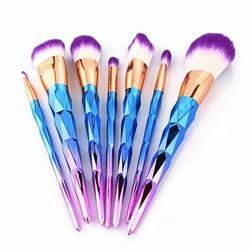 The brushes give precise results for each of its functions to define the features and enhance your beauty. 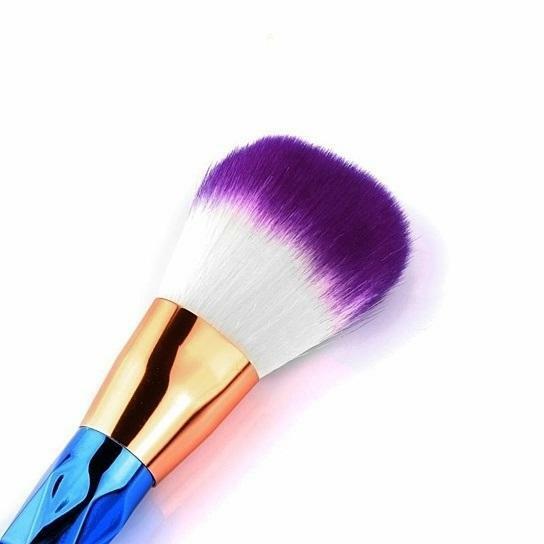 The brush size is 20cm. They weigh 96g. 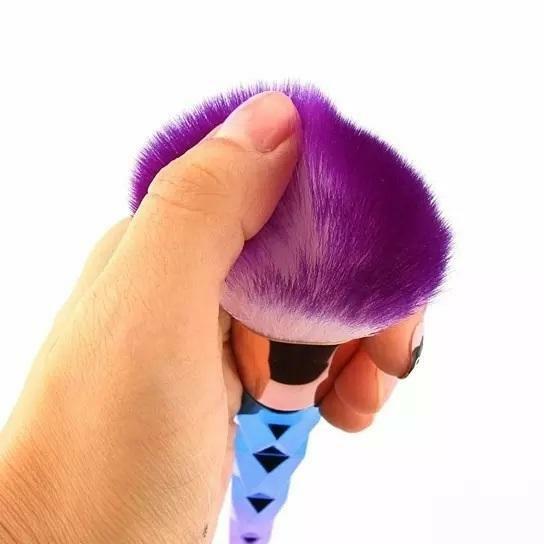 They come in a combination of unique multi colors like Blue, Purple, Pink, and Gold. The Set of 7 brushes come neatly packaged in a bag. Great for gift giving. Get more, each sold separately.